But given how rapid-fire the debut trailer was (and that it launched in the dead of night in some regions), we figured it would be a good idea to give you a full breakdown of what Joker is bringing to the table in update 3.0.0: feel free to follow along in the gallery below. First up, his spot in the mural: how perfect is that?! He’s seated right next to Ness (which is apt, as he shares a few similar in-game abilities like Eiha/Tetrakarn) and Morgana even made the cut. His moveset also seems on point, as his trademark gun and blade attacks are in, on top of his grappling hook (which can reach edges and throw from afar), an Eiha ranged projectile that continues to burn enemies, and Rebel’s Guard, a defensive stance that feeds a meter to bring out Joker’s persona, Arsene. Said persona will buff his abilities to allow him to fire stronger gun projectiles, fly high with Wings of Rebellion, morph Eiha into a more powerful Eigaon, and absorb/reflect with a boosted Rebel’s Guard, deemed Tetrakarn. 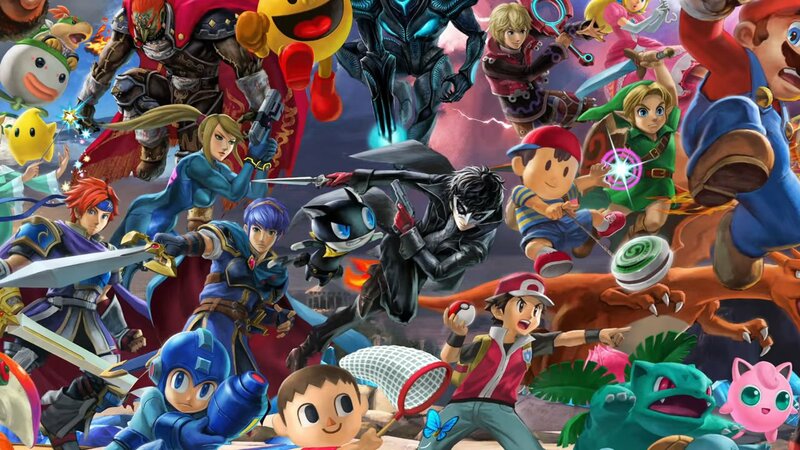 Joker’s Final Smash also calls in the entire Phantom Thief crew for a beating after a dash initiation (like most of the swordwielders in Smash). But his appearance in Smash is much more than just his fighter presence. As promised his DLC pack comes with a level and new music. Momentos is a small-ish arena, but it seems to have a ton of style. It perfectly captures the beautiful entropy of the Persona series, while morphing according to the current music track. Confirmed tracks include Last Surprise, Beneath the Mask (new arrangement), Wake Up, Get Up, Get Out There, Rivers in the Desert, and Our Beginning from Persona 5, Reach Out To The Truth, I’ll Face Myself (New Arrangement), and Time to Make History from Persona 4, and Mass Destruction/Battle Hymn of the Soul from Persona 3. That’s what I call above and beyond. Again, Joker is out today (April 17) for $5.99 piecemeal or for $24.99 as part of the Fighters Pass, which is set to get five DLC fighters in all (Piranha Plant doesn’t count, so there’s four more to come) “through February 2020.” There could very well be a second Fighters Pass to prolong the popularity of the game but nothing is confirmed. Smash Ultimate‘s 3.0.0 update will also come with a level creator tool, video editing, and share options.